Leaderboard battles, redemption arcs, and more drama to watch out for this stage. Like every traditional sport, the Overwatch League has its share of drama. But the best storylines come directly from the competition itself. One week of stage two has passed with little fanfare. As the weeks of stage two go on, things are going to get a lot more intense. Here are a few storylines to follow that even the best reality TV writers couldn’t make up. Despite being an expansion team in their first season in the Overwatch League, the Vancouver Titans have already carved out a place for themselves. They won the stage one championship over the San Francisco Shock after going undefeated the entire stage. Many fans, analysts, and fellow teams are wondering who—if anyone—can topple the Titans. Normally, teams get less powerful with a changing meta. The Vancouver Titans may be an exception to that rule. As the league moves slightly from the triple-triple composition (three tanks, three supports) and brings back damage dealing heroes, the former RunAway squad only gets scarier. 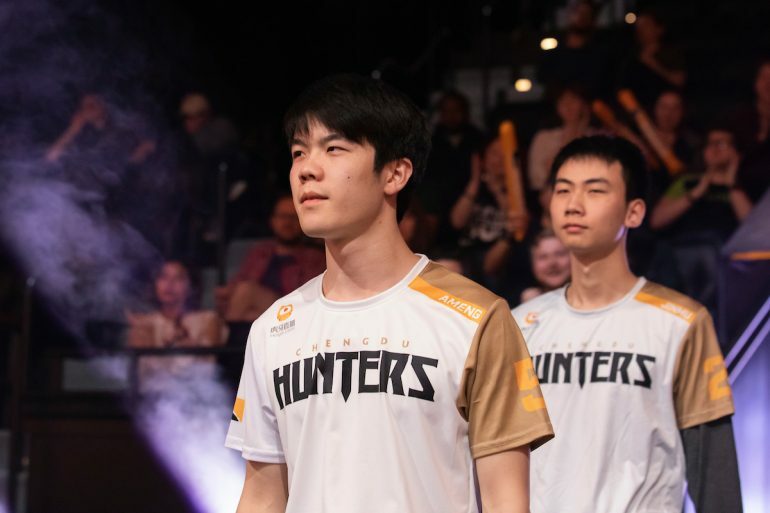 In their first game of stage two against the Hangzhou Spark, DPS Kim “Haksal” Hyo-jong brought out his legendary Genji and sliced through the enemy team. They currently have an eleven-game win streak. The New York Excelsior also had an undefeated stage one until the quarterfinal playoffs, in which the Seoul Dynasty shockingly bested them. But the NYXL squad isn’t letting it get to them, demolishing the Philadelphia Fusion and Shanghai Dragons in the first week of stage two. After winning two stage championships last season, the Excelsior seem to remember what success feels like—and they want it back. The San Francisco Shock want that success, too. In the stage one grand finals, the Shock pushed the Vancouver Titans to a seven-game series. They were, by many accounts, the only team to give the Titans a true fight. With two sweeps against the Los Angeles Valiant and the Guangzhou Charge during the first week of stage two, they show no signs of stopping. While every team hopes to unseat the Titans, the Shock and Excelsior have the best chances of becoming the new kings. As the top half of the leaderboard fights for dominance, another team tries to recover their reputation. The Los Angeles Valiant logged a 0-7 record in stage one and lost their first game in stage two against the San Francisco Shock. The losses are especially heartbreaking considering the team took home a stage championship in the first season and was a contender for season finals. Stage two is their attempt at a redemption arc. The team has already parted with their former head coach, Moon Byungchul, and added a new assistant coach in Marvin “Promise” Schröder. Risky, questionable roster changes, like playing substitute main tank Kim “KuKi” Dae-keuk as main support in lieu of normal main support Scott “Custa” Kennedy, have been reversed. Starting roster staples, like Park “KariV” Young-seo and Brady “Agilities” Girardi, are being rotated with DPS Kyle “KSF” Frandanisa on a per-map basis. Roster changes matter, but it’s how the team conquers the mental weight of being in such a rut that will define their chances of success in the future. During stage one, the Chengdu Hunters had a habit of bending the rules. Main tank Ding “ameng” Menghan showed his skill on Wrecking Ball, a questionable choice in a meta built around standard triple-tank, triple-support compositions. The Hunters ended up tied for 16th place at the end of stage one. Stage two is different. With DPS heroes gaining valuable buffs, players like Lo “Baconjack” Tzu-heng and Luo “Elsa” Wenjie get the chance to really go wild. In their game against the Washington Justice last week, a record-setting 27 of 30 heroes were played during one match. Elsa, in particular, showed terrifying prowess with picks like Symmetra and Torbjörn. Stage two is the Chengdu Hunters’ meta; we’re all just living in it. For the first time, the Overwatch League is hitting the road. The first “home games” take place April 27 and 28 in Dallas. Eight teams will be traveling from Los Angeles to the Lone Star state to compete in a new environment. The main event is the “Battle for Texas,” a title given to games between the Houston Outlaws and the Dallas Fuel. The Fuel and Outlaws play the final game of the weekend for the ultimate Texas bragging rights. While the weekend is focused around that rivalry, the real test of the home game is to see how smoothly everything runs. Teams will have to adjust to jet lag and a new arena as production attempts to maintain the quality the Overwatch League is known for. This weekend is a true test of the localization plans for the league in 2020.